Skin the largest organ of the body; require enormous care to deal with the daily contaminations in the natural environment. Skin protection and management to secure young, flawless and healthy skin should be an optimal choice. For complete skin care regimen, different skin care massages along with lactic chemical peel show wonder on the skin. Lactic chemical peel is one of the most effective and accepted skin peel treatment that you can best find in Tampa. It is the most popular among dermatologists and Beauty experts. An individual who acquires healthier skin because of his sensitive nature of the skin type finds it essential to rejuvenate and maintain skin best condition. What is Lactic Chemical Peel? Lactic acid is derived from sour milk. It is made up of an alpha hydroxyl acid (AHA) which is much more like glycolic acid. Lactic acid is gentler and helps the skin maintain its ideal pH factor. Lactic acid peels help remove dead cells, germs and toxins from the skin. The lactic chemical peel has a mild nature as they derived from milk with a very small chance of an allergic reaction on the skin. The lactic skin peel procedure starts with the cleansing of the skin by application of prep solution to ensure the face is clean from dirt, oil free and primed. Often the natural oil on the skin doesn’t let the chemical peel to effectively penetrate the skin, so it is essential for skin to be thoroughly cleansed. Once the chemical peel is applied on the skin, it is required to set a timer. Time management is a key to fully neutralize the peel. The longer the chemical peel is left on the face, the longer it could cause potential irritation. Experienced skin care specialists at Anna Esthetics closely monitor time to ensure that peel remains on the skin for desired time and show the maximum result. Usually, a chemical peel starts with the shorter time and small concentration sessions and follows their way up to the longer peels with higher concentration. Once a session successfully ends, the skin could feel slightly warm and pink in color. This post-peel pink color is normal which could last for a few hours or a day. The skin specialist provides post-peel outcome measures to carry the desired results and get rid of notable effects. The protection of skin after lactic chemical peel is ensured by skin specialists by the application of sunscreen while going out in sun, avoid scrubbing or exfoliating your skin until it heals completely. At Anna Esthetics the sessions provide you with best care and expertise. For certain skin issues like erasing fine lines and fading dark marks, the specialists encourage multiple chemical peel treatment sessions. For instance, 1-2 treatment sessions per week for 6 to 8 weeks provide you best results. The Lactic chemical peel provides your skin optimal care and maintenance through great curing strategies. Once you enter the spa, you get solutions to every possible skin issues like wrinkles, uneven skin tone, coagulated pores etc. with expertise and well-informed skin specialists. I've been visiting Anna for my skin care needs for the past year. Anna provides top notch service at amazingly affordable prices. Anna is knowledgeable, professional, and attentive to my unique skin care needs. Anna now has an amazing staff with the same professionalism and attentiveness. This is by far the best day spa I've ever been to. I visited Anna about a month ago for my severe adult cystic acne. She is amazing! So professional and caring. I've been getting chemical peels every week and my face has dramatically improved. I love going to her for treatments. She's my new beauty go-to!! Anna was just wonderful! I am doing a chemical peel now with her this next week. She is very thorough and spends extra time with you. Her prices are great also, even without a Groupon. Highly recommend her! I've been going to Anna for a very long time. All of the packages she offers are great! I've done from face peelings to facials to buying packages for my mom and daughter. Not only is her service amazing, and her outcomes, but she has amazing customer service. She listens to what you need and tries her best to deliver. Every service has been exceptional! My favorite is the facial with chemical peel. Anna has done a wonderful job . I am working on my 4th chemical peel and I cannot believe the difference in my skin. I suffer from extreme melasma and I am seeing great results. Thank you Anna. Easy Booking. Fill out the form and we call/email you back. e.g. "from 10:00am to 11:30am"
*All additional information: how many treatments would you like (one or package of x), additional preferred dates and time, etc. Sign me up for the Specials! I was visiting the area again and decided to obtain other services and wondered if treatment would be as excellent as previously experienced. I am happy to say the great service is no fluke, the results are very consistent & reliable. 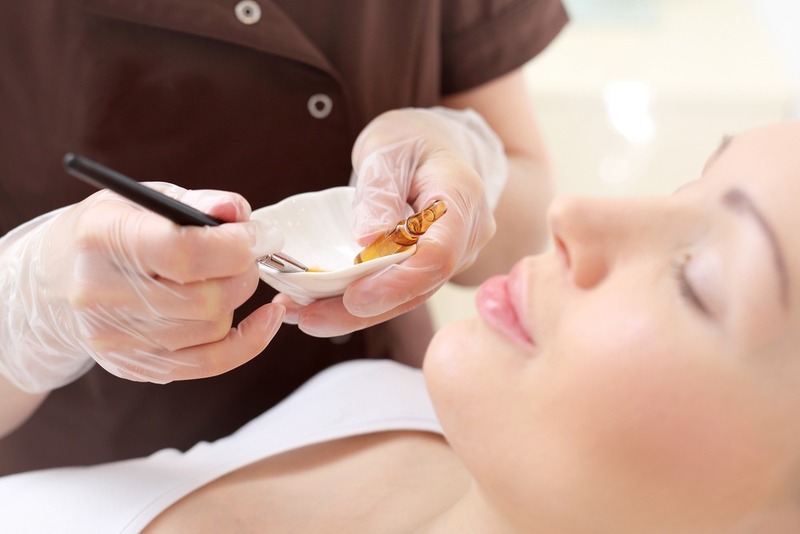 I am also pleased with how accommodating Anna’s Esthetics staff members are when you are on a short time schedule. They epitomize customer service. The staff is always friendly and professional. I have received several services and great results with all of them. They are prompt to respond and will accommodate the best way they can. The facility is gorgeous, clean, and relaxing. The results I got at Anna’s esthetics have been amazing. I’ve done everything from the facials, micro-needling & teeth whitening and every time I leave I am always satisfied with her work! I would definitely recommend Anna to all my friends and family. The staff was very friendly and knowledgeable. Great facial experience! Clean & pleasantly appealing! Provided the fastest response time to an email inquiry and after hours at that—pleasantly surprised because it allowed me to fit in an appointment during my short stay in Clearwater. The esthetician I saw, Angelina, was very attentive and so personable, as if I was a regular client. She made me feel very comfortable and I was very pleased with the results. I will definitely recommend this place to my friends. I had my first micro needling appointment with Anna today and everything was wonderful. Very quick service. Nice clean office and she was very attentive to how I was feeling. Have two more booked! Yvette is definitely a keeper, she took her time to treat my face and she was super fun ! My face is now clear moisturized and glowy thanks to her. I will surely comeback!